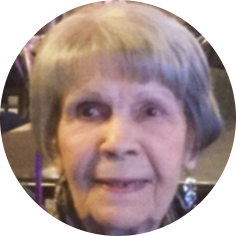 Louise Lydia Phillips, aged 90 years of Moose Jaw, SK passed away on Thursday, May 10th, 2018. Louise was born on February 5th, 1928 in Winnipeg, MB. She married John David Phillips on June 28th, 1953. Louise worked as a Court Reporter for the Court of Queen’s Bench for 25 years. In her retirement years, she enjoyed swimming, golfing, curling, playing bridge, family gatherings, and keeping up with current events. She was predeceased by her parents, David and Julie (née Thomas) Emslie; and brother, Ken. Louise will be lovingly remembered by her son, Craig (Rosemarie); grandson, Ken Herring; as well as many nieces and nephews. The Funeral Service will be held on Friday, May 18th, 2018 at 2:00 p.m. in the Harvey Room at Moose Jaw Funeral Home. Arrangements are entrusted to Moose Jaw Funeral Home, 268 Mulberry Lane. Calvin Gammel, Funeral Director 306-693-4550.